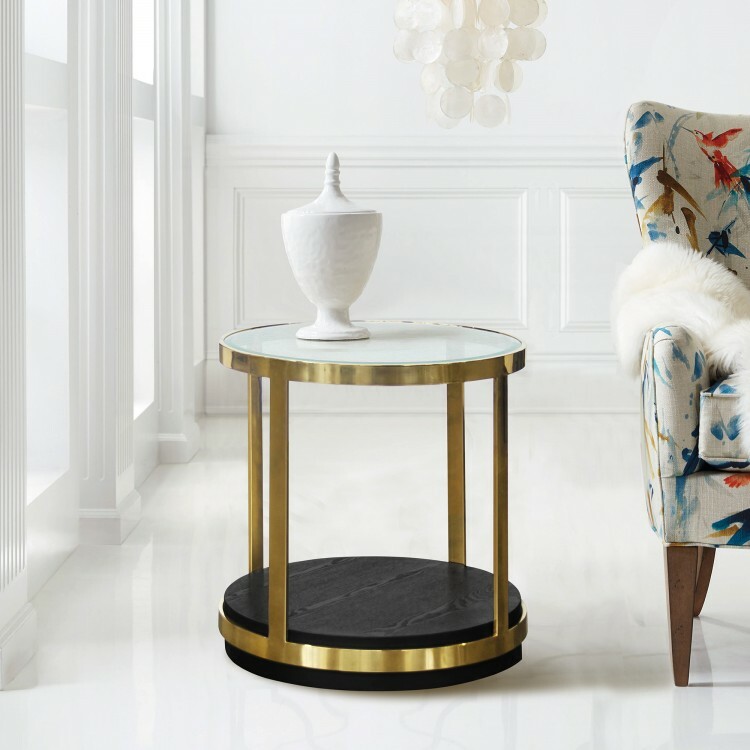 The Armen Living Hattie contemporary end table is a brilliant addition to the modern household. Featuring a round design and brushed gold frame, the Hattie is certain to enhance the beauty of any bedroom. 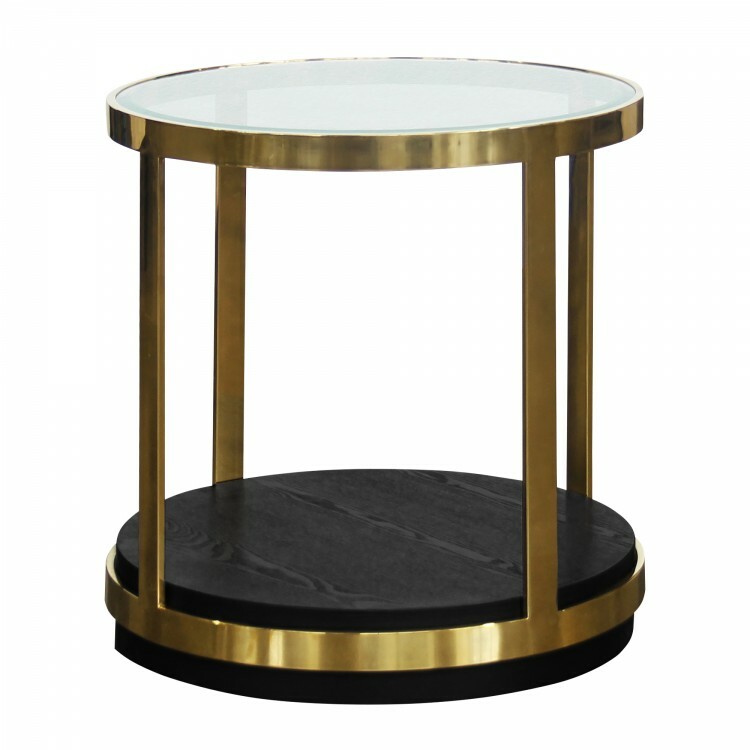 The Hattie's black wood base is ideal for storing magazines and books while the durable tempered glass top adds to the chic quality of this elegant contemporary end table. Durable and stylish, the Hattie is the perfect choice. The Hattie end table is available in black.